Listen, guys. Those of you who bought an OUYA need to take some time away from the controller and let the thing update. October's OTA just hit the airwaves, and it brings a couple of new features that are definitely worth having. Firstly, this is the update that many of you have been waiting for – it includes expandable storage. Yay! Don't get too excited yet, though – it's still in beta, and thus, only available for beta testers. Boo. If you'd like to sign up to be a beta tester, however, you can do so here. Otherwise, a feature that everyone can enjoy will show itself this go: video support. Game detail pages can finally show off more than just screenshots. That's fantastic. Added the ability to display video (for game trailers and footage) in the game details page. Developers can now upload videos to Vimeo and submit a link to show that video on their game’s page. If a video exists, it will display in the first screenshot slot. Added the ability to download a game without entering its game details page. Just press the U button while highlighting a game’s tile to download. Fixed HDMI wakeup issue. 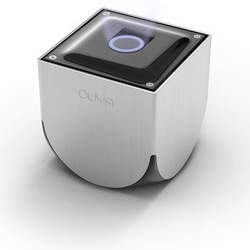 If your TV was mysteriously waking up your OUYA, it should no longer do that after this update. Added “forgot password” option to the existing user sign-in screen. Now you’ll actually know where to go, if you can’t remember your password. We’ve changed “Download” to “Free Download” to make it clear that everything is free to try. Not everyone knew that they wouldn’t be charged for a download, so now it’s crystal clear. It’s free to try ALL THE THINGS. Enlarging a screenshot (or video) now goes full screen (instead of just bigger). We now highlight the search substring when doing a search so it’s much more clear why you are getting each result. We’ve also moved game titles that start with your search to the top of the list. It’s way better. Improved performance (speed and smoothness) in PLAY with lots of installed games. Added a pop up message upon starting the console to remind users how to connect a controller. Changed sorting of buried and installed tiles in DISCOVER. It used to be Uninstalled, followed by Installed and Buried (mixed together). Now it’s Uninstalled, followed by Installed, followed by Buried. Devs: you can now hide or change the mouse cursor in your games and apps. For more info see the ODK Controllers document. Added Terms of Service to the console. Yup, it’s annoying to click through, but it makes the legal types happier. Think of the lawyers. A bunch of other small bug fixes and optimizations. Look at all those notes. So many notes. This OTA also features a funny name. Head to the OUYA blog to find out more.